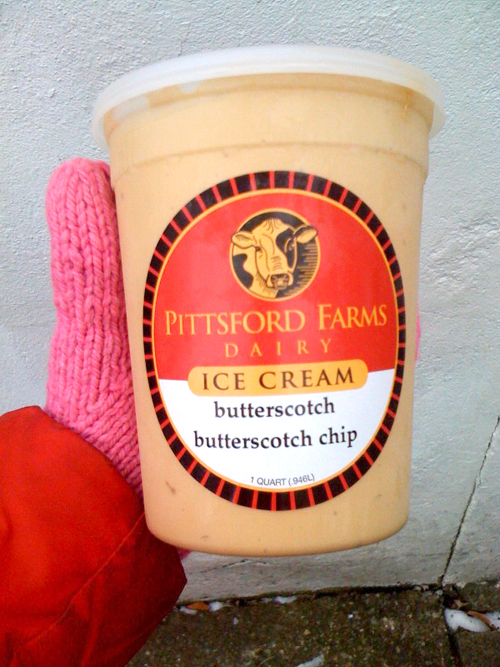 We are big fans of Pittsford Farms Dairy. We are also big fans of ice cream. So we were excited when the Dairy started to make their own ice cream. The Dairy was taking suggestions for ice cream flavors so of course Aaron and i had to submit a few. Among our entries were banana split, pb and j and grapenut. Grapenut is a local favorite back home in PA.
Today when we went to the Dairy what did we find in the freezer? Grapenut! 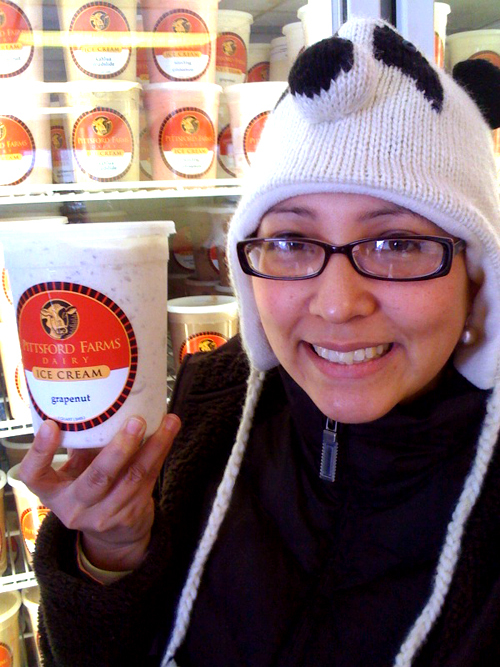 And they gave us a quart to try. It's so good! We are very pleased with ourselves right now. Does it have the cereal in it (grapenuts)? In vanilla, or plain cream, or what? 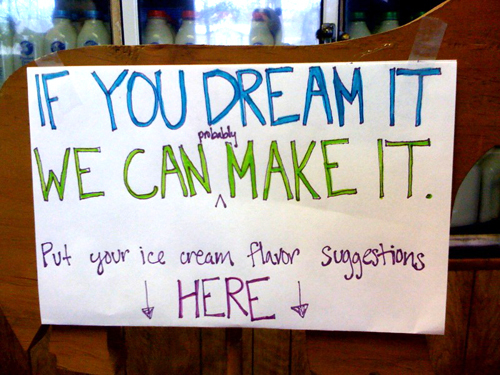 Congratulations on the fulfillment of your ice cream dream!